Type:AudioLanguage:EnglishCategories:NewsStatus:On going Description： A fast moving and topical business and finance show bringing you breaking business and economic news and financial market updates. Presented by former CEO and investment bank global trading head Peter Lewis, with over 30 years' industry experience. Join Peter and his expert guests for analysis and discussion on the day's top business stories live from 8 a.m. to 8.30 a.m. every weekday morning on RTHK Radio 3. We have a podcast to download after the show and you can also listen through the RTHK Radio 3 website live or later in the day. We welcome your questions, comments and feedback to read out in the show. 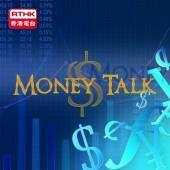 You can email us at moneytalk@rthk.hk, post on our Facebook page "Money Talk on RTHK Radio 3 " or find us on twitter "MoneytalkR3")	.